The Broke and the Bookish : Tahleen is excited for the Youth Media Awards! 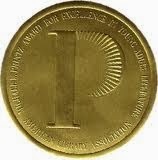 So in the past couple of years, I have become more and more aware of the Youth Media Awards, more commonly known as the Newbery, Printz, and Caldecott awards. Mostly this is because of my career as a librarian, but it was always something I was at least vaguely aware of growing up. Now, as a member of the American Library Association, I'm even more excited than ever, especially since I have the opportunity to watch a live webinar of the announcements! I know the big awards in entertainment tend to be for movies and television around this time of year, and it's all in the forefront of everyone's mind since the Golden Globes were last weekend and the Academy Award nominations were announced yesterday, but I don't watch as many movies as I read books. I love wondering whether or not I've read the winners, if any of the predictions were right, and reading about the ones I've NEVER heard of. 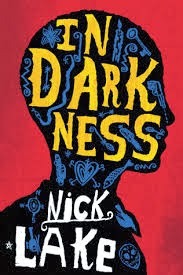 If you'll remember last year's awards, the Printz winner was the real dark horse of the year: In Darkness by Nick Lake (you can see my review on my personal blog, Tahleen's Mixed-Up Files, here). I had remembered seeing the cover in a review journal or something, but NO ONE had any idea it would have a chance at winning, except of course the committee. Now that I have been in charge of ordering teen books for the collection at my library for a full year, I'm really looking forward to see if I managed to get all the winners! Last year I had to make an order right after the announcements because I think I only had one of the Printz honor books (whomp whomp). I'm hoping this year I'll be more successful. But even if I'm not, I can't wait to see what great literature I have yet to discover. I'm going to make it a goal to read as many of the winners and honor books that I can! I'll have to get started with the Morris Award shortlist, announced in December. Are you excited about any literary award announcements? I'm excited about the Newbery. Your guesses for these prizes will be worthwhile as you know these books better than most of us. 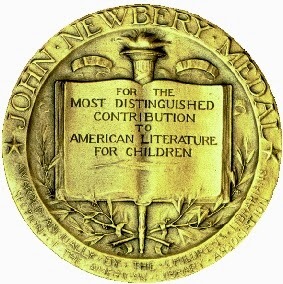 I've followed the Newbery and Caldecott since the 1950s and have occasionally guessed a book that showed up in the honor list. 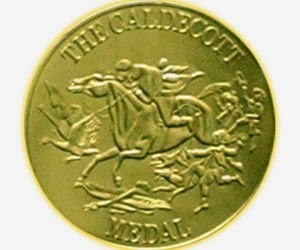 I guessed Hugo Cabret but it won the Caldecott instead. Close though. I'm looking forward eagerly to your posts. I have started following the Hugos and Nebulas, but I haven't started reading all the previous winners or anything. When do they makes these announcements? I have a Newbery contest in my class each year for the student that reads the most Newberys. They keep asking me when the next one comes out and I can't answer them. Also is there a list of contenders? If you have kids who really enjoy the Newbery books, maybe you could do a Mock Newbery activity for next year. Basically you all read books that are getting a lot of praise and talk about them, then choose a winner and honor books. If you do an online search, you should find plenty of instruction on how to conduct one. I host a Mock Printz event at my school and I have over 40 readers this year. Most only read around five of the books of the fifteen I preselected. I start second guessing myself this time a year as people start talking about books I haven't even heard of before. Who do you like for the Printz this year?